When problematic areas with your lawn and outdoor area begin to show, it hasn’t happened overnight. Tree and shrub disease, pest infestation, and brown patches in the lawn are typical trouble spots that take time to manifest. By the time you, the homeowner catches it, it can be serious and costly. That’s what makes the reliability of having top notch lawn care in Lewis Center Ohio so important for homeowners in our community. There are numerous factors to consider when gardening; such as keeping your lawn and foliage green and thriving in the semi-arid region around Lewis Center. With the beautiful Ohio Mountains as a backdrop; why walk outside your home and feel disappointed with your garden and lawn? Hoffman’s offers expert routine lawn care and services as listed below, but our full menu lawn care comprises: Lawn aeration, landscape design and installation, landscape maintenance, mulch and compost installation, pest control, as well as spring and fall clean-up. With our experience in the lawn care business and particular expertise in this area in Ohio, Hoffman’s is your ideal one-stop Lewis Center Ohio lawn service. 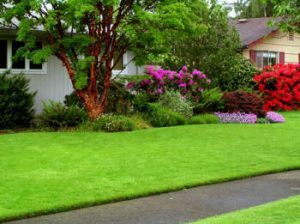 As a homeowner you are probably looking for the best, most reliable lawn service available, and at a competitive rate your budget can easily manage. 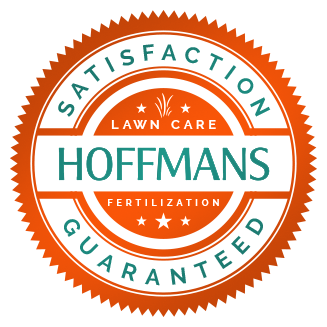 Hoffman’s lawn care program is custom-fit to suit the specific needs of each customer, both their requirements and lawns. By customizing our lawn service plans, not only does it make it easier to find the price you’re looking for, but your lawn will receive the personalized care it needs. Our friendly staff is easy to work with, and we are happy to discuss any of your preferences with you regarding lawn care and garden maintenance. Give us a call at Hoffman’s today and let us prepare a custom plan that suits your needs. The service you will receive with Hoffman’s lawn maintenance in Lewis Center Ohio is top quality, done by a team of professionals. Our many satisfied customers assure us that the lawn care they receive with Hoffman’s has helped to transform their difficult lawn trouble-spots and lackluster shrubs and hedges into a thriving garden. Call Hoffman’s Lawn Care today and receive a free estimate from the specialists.